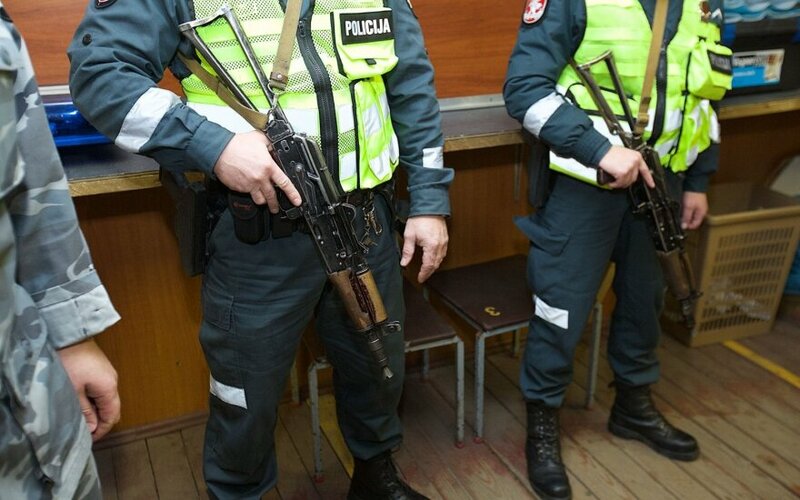 Police officers in Lithuania will no longer be issued automatic rifles, following two high-profile incidents last week. The Kalashnikov guns were handed out to police officers after terrorist attacks in Paris. "We will redistribute the weaponry in our possession so we can give up military weapons, i.e., Kalashnikov rifles," said commissioner general of the police Linas Pernavas on Monday. According to him, officers will have handguns and automatic non-military rifles. The decision comes in response to two incidents in Vilnius last week that attracted much criticism. In one of them, a police officer accidentally shot a homeless man in the leg. In the other incident, a detainee grabbed an unattended police rifle and went on the run, setting off a massive manhunt operation. No people were injured. Pernavas also said the police would invest more into training police officers and making sure they are able to respond to crisis situations.